The first day of school can give even the most experienced teachers butterflies. What will the new year be like? How eager to learn will this class of students be? The worries and excitement build to a fevered pitch as student enters the classroom on that first morning. Being prepared and having a plan for what you want to accomplish, as well as some time filler activities, can help ease the worry and make the day run more smoothly. While there may be a set list of things that your administrator wants or needs for you to cover on the first day, the list below offers you some tried-and-true ideas for things that are not only fun, but helpful to cover on the very first day. Mission Possible – There is a lot to cover on the first day of school. Everything from supply collection to ice breakers to behavior contracts need to be completed. Create a “Mission Possible” assignment sheet that lists the activities that need to be completed on the first day or throughout the first week. As students complete each activity, they can check it off of their list. Alike and Different Graphs – Get to know your students by polling them on their favorite food, sport, book, animal, and subject. Create bar graphs with your class to show the results. It is a great way to refresh basic bar graph skills and highlight some of the ways that students are alike and different. First Day Photos – Snap two or three different individual photos of students on the first day of school. Hang up three different backdrops and get creative with props. Is your class a Super Class? Have a cape each child can put on for their photo. Are they busy bees? Create a bee antenna head band for photos. You can use these snapshots throughout the year for different projects and crafts. We Lend a Hand – Stress the importance of community in the classroom and the school. Create a “We Lend a Hand” bulletin board by placing a plain sheet of butcher paper on the wall and having students press their painted palm to the paper around the title. Keep a package of baby wipes next to the board so that they can wipe off some of the paint before heading to the sink to wash their hands. Pick a Cause – Work with students to choose a charity to support during the school year. Have a list of 3-5 different options and explain each one. Students can then choose the one they would like to support. If the vote is not unanimous, place the top two choices in a jar and have a neighboring teacher or an administrator pick the winner. Write a Letter to Themselves – Not only are you anxious on the first day of school, but so too are your students. Take the time to have them write a letter to themselves on the first day describing how they are feeling and what they are looking forward to learning. Place the letters in envelopes and put them in a safe spot. On the last day of school, return the letters and have the children read them to see just how far they have come. I Have, Who Has? – Using the I Have, Who Has? game idea, adapt it for the first day of school. Create cards that list things that students might own or have in their family. For example, one card might read, “I have a dog. Who has a cat?” Students must then record their answers on an answer sheet, filling in an answer for each person in the room. 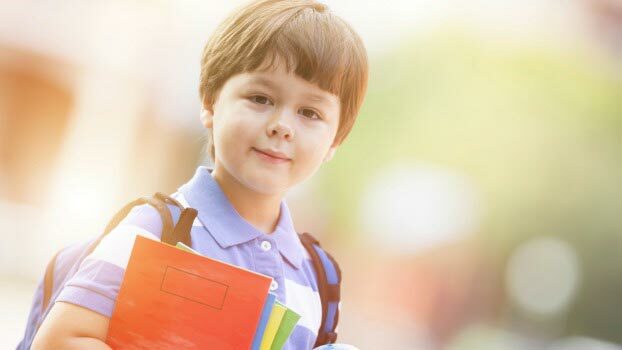 Procedure Knockout – Give procedures a once over on the first day of school and expect to repeat and practice them frequently throughout the following weeks. On the first day, however, emphasize the procedure to coming into the classroom, going to the bathroom, and walking in the halls. You can build on those three and add more procedures as the days progress. Treasure Boxes – The school year is going to be filled with exciting moments to treasure and you do not want students to forget them. Have students decorate a pencil box with their name and explain that when they have a memory they would like to treasure, they can write it on a small piece of paper and put it in their treasure box. If they find a pretty pebble on the playground or are proud of a sticker that they earned for a spelling test, those can go in the box too. At the end of the school year, they will have boxes filled with their treasures from the year. Start Counting – Start counting to 100 that is! The 100th Day of School approaches quickly if you are not paying attention and this simple celebration is a great way to engage in discussions about numbers and math. Start counting on the first day of school, so that you do not have to go back and play catch-up! What are some of your favorite first day of school activities and ice breakers? Share them with us below! Download a free Back-to-School Night ebook here! I did the letters last year. My kids loved getting them back at the end of the year and completing them.